Charismatic tenor with stage presence, excellent diction and rich tenorial tones. 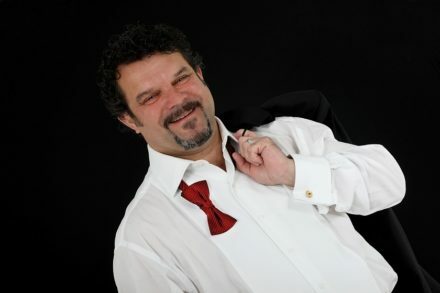 David M Brothers is a classically trained tenor from Yorkshire. He is enthusiastic about his singing, gaining a reputation for having strong rich tones, excellent diction and a charismatic presence on stage. He is versatile having experience of undertaking different roles with varying levels of complexity. He has experience of singing from a very young age, also playing the violin and growing up with opera all around him thanks to his father who was a professional baritone. This led to him gaining a great appreciation, knowledge and love for opera and classical music. David recommenced taking professional tuition in 2009 and after 10 months had obtained his Grade 7 with distinction, followed by Grade 8 with honours two years later. He then completed an opera workshop course at the Royal Welsh College of Music and Drama with Donald Maxwell. This gave him a better insight into preparing for roles, changing his approach and increasing his enthusiasm even further. He has worked with Sheffield City Opera on various operas and shows working his way up from chorus to lead tenor roles. His most recent being Joe in the jukebox opera Donna and her Mobile. Additionally, he has sung with Masterworks Chorale in Leeds which took him to various countries including Italy where they sang in the Chiesa di Santa Maria della Pietà, Venice where Vivaldi composed his Gloria, gaining experience along the way. His repertoire includes some of the finest arias from famous operas, memorable oratorios, religious songs and some of the best-loved music from popular West End shows.